When the average tourist thinks of German cuisine, they automatically think of huge steins of beer and sausage. 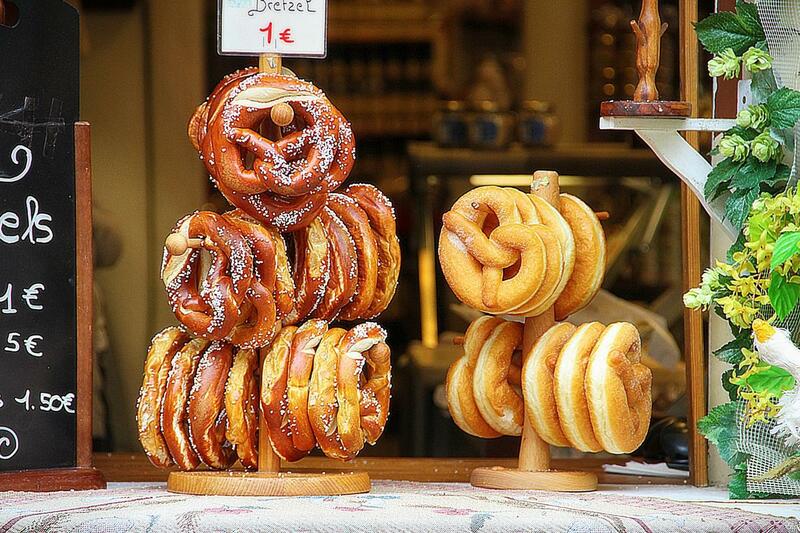 While these are a keystone of Germany’s culinary identity, there is so much more delicious food and drink on offer. With tourism on the rise in Germany, it can be hard to find something really authentic in some of the bigger cities, so if you wanted to find some of the locals’ top places, then the best thing to do would be to hire a personal tour guide, who would have expert local knowledge of restaurants off the beaten track. Each region of Germany has its own speciality dishes, and trying some of them really is one the best ways to immerse yourself in the German culture and how it differs from city to city. With this in mind, here is a selection of the most delicious food and drink has to offer, and where you need to go to try it. Brezel are large, soft pretzels which are typically plain or sprinkled with salt. The name “brezel” is believed to have come from a medieval term for bracelet, owing to the way the dough is knotted, are believed to have been around from as early as the middle-ages. They are delicious eaten on their own; washed down with a pint of cold German beer, or best of all; eaten as part of a traditional Bavarian breakfast with white sausages. They are also sometimes cut in half and buttered. Fortunately it is not hard to find them as the vast majority of German bakeries sell them. Top Tip: German pretzels are generally more popular in the south of Germany and can be enjoyed as part of a traditional Bavarian breakfast along with Weisswurst (White sausage), and a pint of Weissbier. Make sure you hire a tour guide to show you the best place to try this unusual breakfast. Bratwurst: Probably the most well-known German sausage, it is typically made from pork, but can also be made from beef or veal as well. They are believed to have originated in northern Bavaria where the best ones can still be found today. Recipes and flavour change from region to region, and even differ in different towns. They are typically served as a snack with a bread roll and mustard. Leberwurst: Literally translated as liver sausage, this spreadable sausage is served as part of a traditional German breakfast and is enjoyed all over the country. 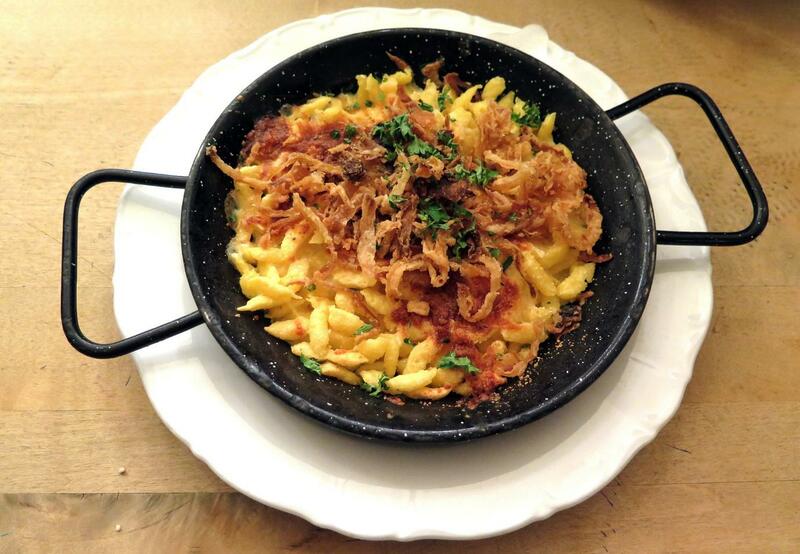 A speciality of Baden- Württemberg Spaetzle, are a kind of soft noodle that are made with few ingredients and then passed through a type of strainer. They are typically served with cheese or fried onions and or as an accompaniment to a dish. This really is a favourite with locals and visitors alike, and is particularly popular in the Black Forest region. A personal guide will be able to advise you on the best place to sample it. 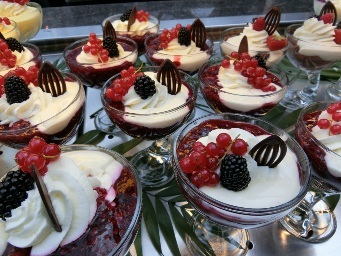 This desert is generally enjoyed more in the north of Germany – especially Hamburg -- and consists of a medley of berries served (Hamburg style) with a sweet vanilla sauce. The name gives it away: this cake is a speciality of the Black Forest region of southeast Germany. It consists of chocolate sponge, layered with cream and topped with more cream, chocolate shavings and cherries. 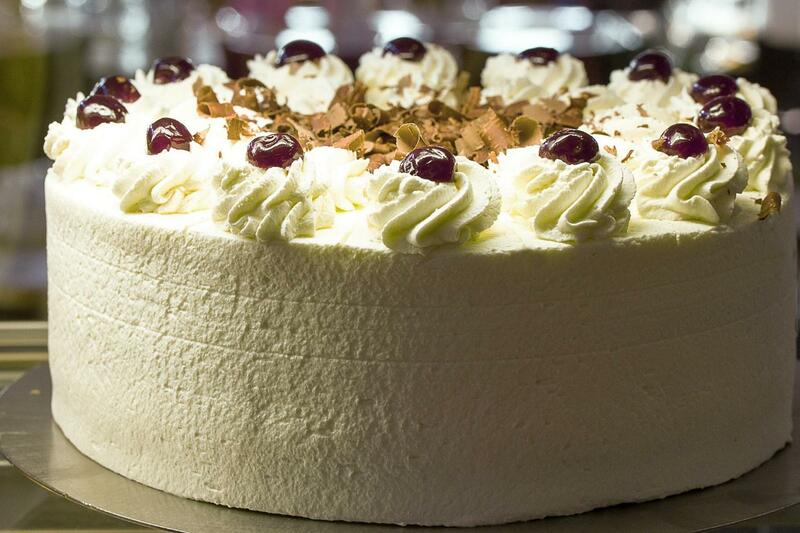 A trip to the black forest wouldn’t be complete without a huge slice of Black Forest cake! Beer tasting tour: With around 1300 breweries in Germany, it goes without saying that Germans love their beer. With so much choice, it’s difficult to know where to start. Franconia, a region in the state of Bavaria, has the most amount of breweries. Here, it is possible to sample everything from Weissbier to Rauchbier, each of them varying hugely in flavour. For the beer enthusiasts why not hire a personal tour guide who could arrange a trip for beer tasting in some of the best taverns and breweries Germany has to offer? Beer Festivals: One of the most famous events to take place in Germany every year is without a shadow of a doubt the Munich Oktoberfest. 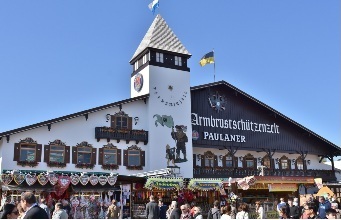 Huge tents are filled with long tables where punters guzzle down huge steins of local German beer served by bartenders in traditional dress and snack on baskets of Brezeln. What’s not to love? While this festival is the most popular, there are many others dotted around Germany which are less crowded and touristy. 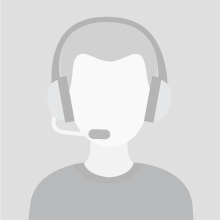 Your personal guide would be able to assist you if you wanted to attend one of them. Wine tasting tour: Although Germany is most famous for its beer, its wine is also quite special. With German vineyards covering over 100,000 hectares of land, the wine really holds its own. Mainly produced in the west along the river Rhine and its tributaries, this is the best area to visit if you wanted to do some wine tasting. Again, a personal tour guide would be able to curate a fantastic wine tasting day for you, showing you the best wines and where they come from. 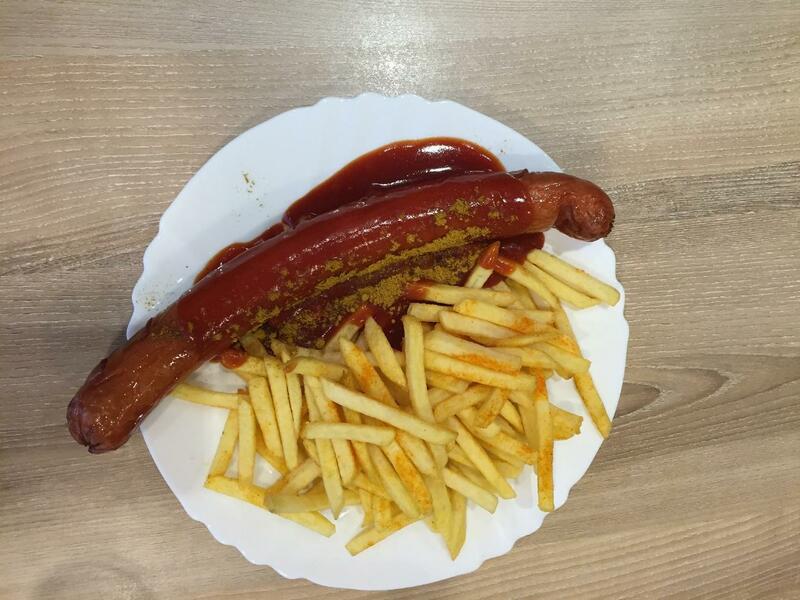 Although not as famous as some countries for its food, German cuisine is really underrated and there really is a lot on offer. Don’t forget to book a personal tour guide to help you try some of the best Germany has to offer.